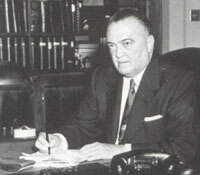 WASHINGTON — The bulldog-like mug of J. Edgar Hoover has long been synonymous with the FBI, a world-renowned law enforcement agency forever hyper-sensitive about its public image. Still, Hoover’s legend has taken its lumps over the years. Posted: 1/9/11 at 3:36 PM under FBI, News Story.